Open source is a great option for producing professional-level audio-visual materials. There are a lot of reasons that people choose open source over proprietary options. 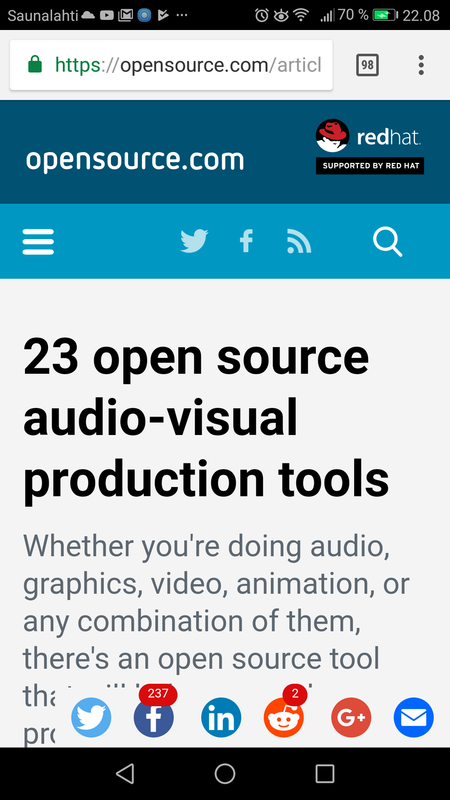 This article is a compiled list of open source audio and video tools - and related hardware.